Who cruelly do beset us. And mighty floods o’erwhelm them. 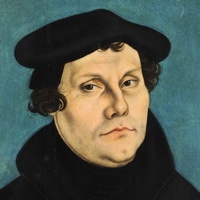 “Were God Not with Us at This Time (Wär Gott nicht mit uns diese Zeit)” is Martin Luther’s metrical setting of Psalm 124, first appearing in Johann Walter’s Wittenberg collection of polyphonic hymn settings, the Geystliche gesangk Buchleyn . It is not included in the Lutheran Service Book . It appears in The Lutheran Hymnal , No. 267, “If God Had Not Been on Our Side,” but the composite translation there is copyright 1941 Concordia Publishing House and so could not be used for the Free Lutheran Chorale-Book. We have therefore provided a new translation that is as close as possible in word choice and phrasing to Luther’s original. Two different tunes were prepared for this text. The first accompanied the hymn on its first appearance in Walter’s Geystliche gesangk Buchleyn in 1524 and is offered here as the primary tune. The one given in The Lutheran Hymnal , and here offered as an alternate tune, is that introduced by Johann Walter in his 1537 Wittenbergisch Gsangbüchli . The translation here provided may be freely used and reproduced for any purpose whatever, and is offered with the prayer that it may serve for the edification of Christian people everywhere.